For the past 8 weeks, Clutch's first ever DVD "Full Fathom Five, Video Field Recordings," and accompanying CD have been available at the band's legendary live shows, through Merch.com and in about 150 select US, Canadian and UK independent retail outlets chosen by the band's owned and self distributed Weathermaker Music label. This will increase ten-fold, as Weathermaker has teamed up with the MVD Entertainment Group to expand the reach of the "Full Fathom Five" project. On November 11th, the acclaimed live Clutch DVD and accompanying "Full Fathom Five-Audio Field Recordings" CD will be available in over 1500 new retail outlets such as FYE, Best Buy, Coconuts, Fry's, Hastings and Barnes & Noble. "This is a fantastic progression for us after only three months as an active label." states Weathermaker Music Label Manager Jon Nardachone. "Originally, our intention was to handle all CD and DVD sales directly through Weathermaker, but having the MVD Distribution team on board for the "Full Fathom Five" project ensures many ecstatic Clutch fans this holiday season." In other Clutch related news, some of the incredible footage from the "Full Fathom Five" DVD will be featured on Comcast Cable's On Demand "Concert TV" channel starting December 15th, along with classic rock icons Led Zeppelin, Judas Priest, Black Crowes, Deep Purple, Santana, U2 & Motorhead. 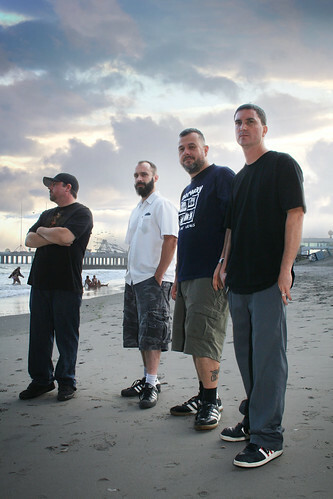 Clutch's live concert footage was produced and directed by Agent Ogden (Primus, Jon Comer, Music With Altitude) in Pittsburgh, Sayerville, Denver and Sydney Austrailia on the band's 2007/2008 "From Beale Street to Oblivion" world tour. The track "Power Player" from that release, as well as "Full Fathom Five," is featured on the Saw V Motion Picture Soundtrack released last week. * Clutch will end 2008 the same way they began it, on the road. The band is confirmed along with Thin Lizzy, Black Label Society and Hawkwind to play the Hard Rock Hell Festival on December 6th in North Wales. Upon returning home, they will headline a short run with Viking Skull and Russian Circles as support. * Look for Weathermaker to announce a major distribution deal for future releases very soon.